I locked the gate, returned to the car and sat for a second. Two thoughts crossed my mind, one I was shattered and two what a fabulous day I’d just had. 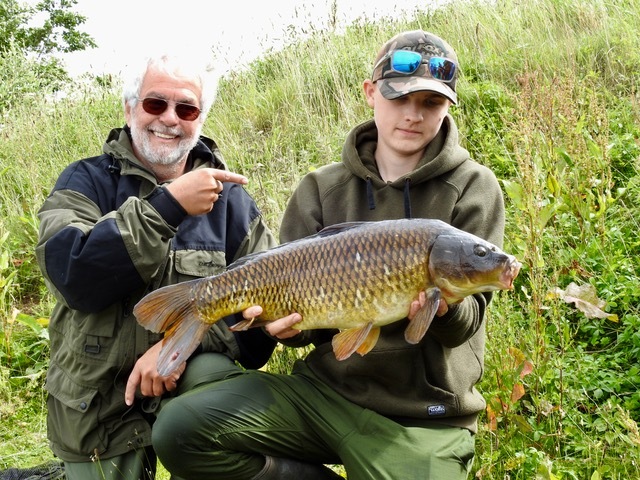 I’d been invited by Gary Wright, Junior Section Leader, for Nottingham Piscatorial Society to join them for their first Junior Carp Academy and it’s fair to say it had gone well, writes Daiwa consultant Brian Skoyles. 8-00 a.m. and I stood looking over a large windswept gravel pit near Newark, one of the Nottingham Piscatorial Society waters and I’m watching fish top about 40yds out from the swims we had reserved for the Society’s first Junior Carp Fish-In. 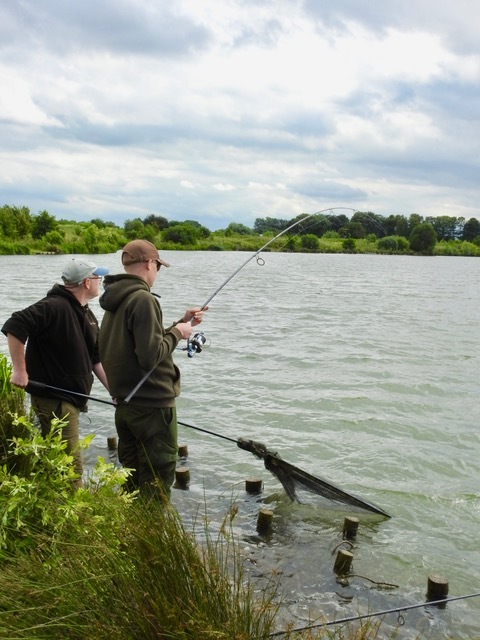 Time to stop watching and get organised, soon we would have some keen juniors trying to catch some carp and looking at the fish activity in our swims, we had a good chance. 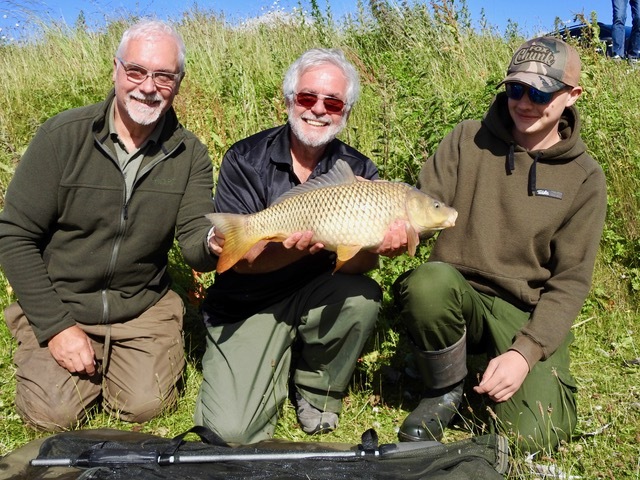 Gary and Paul Stevenson, another Level 2 coach, had also arrived and we busied ourselves getting various rods set-up to illustrate different approaches to hopefully put some carp on the bank. No sooner had we finished getting sorted and the juniors started to arrive. We made our introductions and got some rods cast out. The plan for the day was a morning session till 12-30, then a break for a barbi, then back on the rods till late p.m. 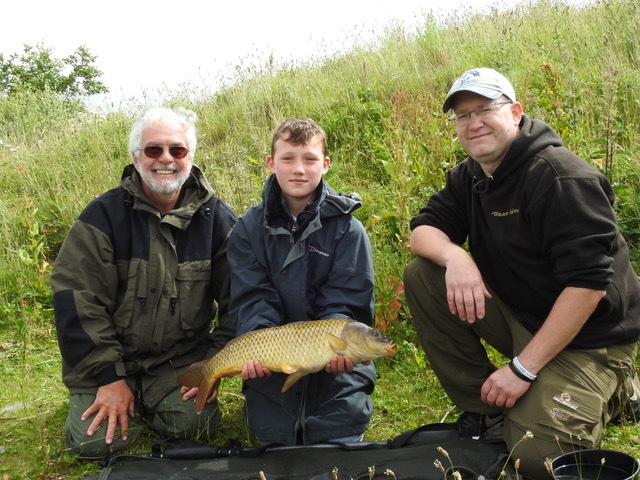 There would be various talks/demos during the day, on fish care, suitable tackle, basic rigs, and popular bait options, but first things first, let’s see if we can catch some carp for the juniors, some of whom were trying carp fishing for the first time. It didn’t take long as one of my rods was away with a classic one toner, I passed the rod to Marcus but midway through the fight it came off, not the start we wanted, but soon after, Travis to my left, also had a one toner and this one stayed on. A lovely double figure common, we were up and running. At the same time there was another take on my rods and for a while chaos took over as this fish seemed determined to tangle every other rod it could reach, but eventually we had it in the net. Well done Marcus on your first carp. 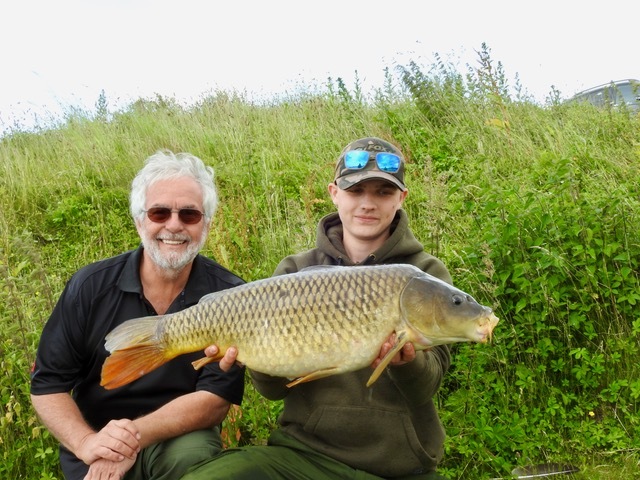 It was great to have Travis involved, certainly no longer a junior (it was his 17th birthday) and obviously a young man that had done plenty of carp fishing. Travis’s expertise and enthusiasm was a real asset on the day and he even gave some of his takes to the less experienced younger juniors...Top marks young man! Paul was next to have a fish, this time using the “method” and Jonjo had his first experience of playing and landing a carp. Things couldn’t have been going better, we had a get together for a look at basic carp tackle and tactics, caught a couple more hard fighting carp which rudely interrupted one of my talks. Then it was time for a lunch break where we were treated to a mound of burgers and hotdogs, many thanks to Mick Jackson and Joanne and Alan Wakelin. Back on the rods we had several more fish, Paul making sure that both Hayden and Jonjo had fish. 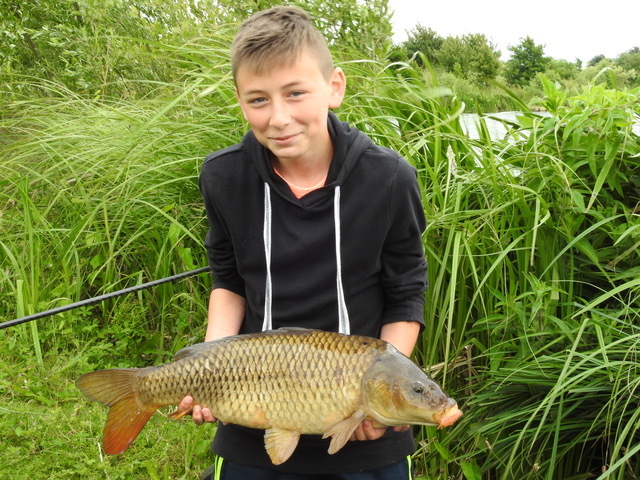 We looked in detail at various baits for carp fishing and tying the basic no-knot rig, took a group photographs and all too soon it was time for the goodbyes, but just as we were saying our goodbyes to two of the younger juniors, Travis had another one toner and this was obviously a better fish. Paul was on the net, but this fish didn’t want to come in. Gradually it tired and at last it was in the net, a perfect birthday present. We started to pack away, but this time it was one of my rods that was away, another lively common. One final common, one final pic and it was time for home. As I switched on the engine, I was not looking forward to the hour and a half of busy A1, but there was football on the radio and I’d had a great day. Gary and his team had done a great job, the fish had been on the feed and everyone had caught carp, some for the first time. I hope everyone had enjoyed the day, I certainly had. 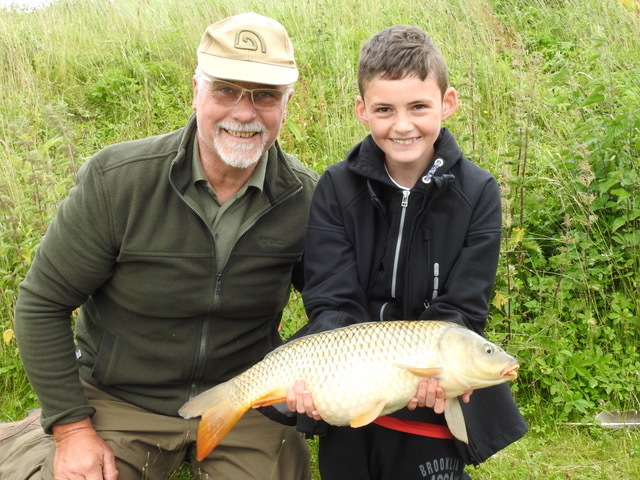 This junior carp day was part of the programme of events organised by Notts Piscatorials to encourage juniors into fishing and from my experience of Notts Piscatorials they will get it right... I wish them well!